If you’re currently searching to fill a vacant position at your healthcare organization, you may be seeing the term “boutique search firm” pop up quite a bit, but you’re not completely sure as to what the difference between a boutique search firm and an executive search firm really is. In theory, both work towards the same goal. Both types of search firms aim to find, vet, and place candidates in your organization. However, boutique search firms function quite differently. The operational differences between the two types of search firms can significantly decrease the time spent on a search, increase the total length of the new talent’s stay at your organization, and reduce the costs incurred by the vacancy and the search. The team at Summit Talent Group works on the boutique model of executive search. Let’s take a deeper look at the differences between a boutique search firm like ours, and an executive search firm model. Executive search firms tend to be large and will have regional, national, and sometimes even global reach. Because of their size, they can often take on multiple searches in many different geographic locations. A boutique search firm is usually made up of a smaller team and specializes either in a particular industry, geographic location, or both. A good example is our team here at Summit Talent Group. We are a boutique search firm that conducts nationwide searches only in the healthcare industry. For example, we’ve completed all types of placements throughout the continental United States, including a Chief Medical Officer in Richmond, VA; a Chief Information Officer in Lanham, MD; and a VP of Human Resources in Irving, TX. Why is it that a small boutique search firm can place talent throughout the country? Why does size matter when it comes to your healthcare search firm? You’ll see as you read on. 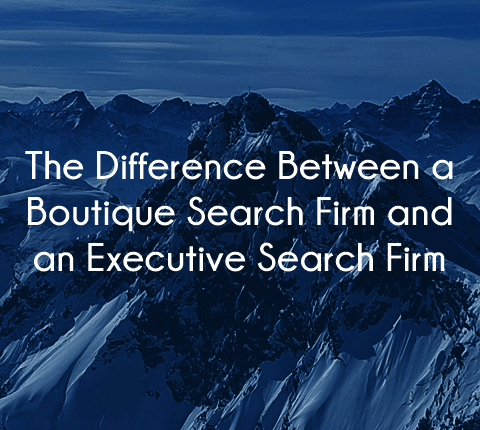 Boutique search firms aren’t bound by the same restrictions and rules as larger executive search firms. They are able to connect with a nationwide pool of talent, and boutique search firms do not make it a habit of recycling talent from completed searches, directories, or professional associations. A boutique firm’s team of recruiters will not poach candidates from current clients. It will also not offer a candidate to an organization who has not been released from a potential offer. Large firms tend to have very large lists, but these lists come with restraints. If you are working with a larger executive search firm, the firm should also adhere to not offering candidates until they are released. Because of this, even if the list of candidates is larger than that of a boutique search firm, the majority of the people on the list may not be available until they are “released”, rendering their large pool of talent a lot smaller. Boutique search firms usually work with a smaller set of clients. This means more attention and care to your organization and your needs. A boutique search firm wants to develop enduring and successful relationships with both the candidates placed and the organizations they are placed in. For example, at Summit Talent Group, we do more than just set up interviews and vet your candidates. We will sit with you to get to know your healthcare organization inside and out. We’ll figure out not just the needs of your organization, but its culture so that the candidates you are presented fit not just your logistical needs, but the core of your organization. We walk you through the things you need to do in order to attract top executive talent, and we guide you step by step and make sure all the necessary follow up is in place from the first email to the offer to relocation if needed. Unlike a large firm, a boutique search firm is not focused on making a quota of placements. This means they aren’t looking to just fill positions, they are looking to place the right candidate in the right firm, they are looking to find the perfect fit. When a boutique search firm is good, its clients come back whenever they have executive search needs. Their clients are aware of the quality of their pool of candidates and of the hands-on service they will receive. Many times, the people who work for and those who have founded boutique firms come from large corporate firms. They understand the processes used at larger firms, the downsides to the larger firms, and start boutiques to address these issues. When you are looking to work with any type of search firm, you should take a look at the recruiter’s history. Are the people who will be conducting your search seasoned professionals? Are they newbies fresh out of college with an unrelated major? These things greatly affect the quality of candidates that will be brought to your interview office. The best executive search firms, big or small, are made up of HR professionals and have a history in the industry they recruit for. Because boutique search firms are smaller, deal with fewer clients, and are focused; they are invested in your needs and are able to give your organization the attention it deserves. It is the difference between shopping at a big box store or an actual boutique that understands your needs, your industry, your market, and is there to give you a white glove treatment. If your healthcare organization is in need of assistance with its executive search needs, contact us. 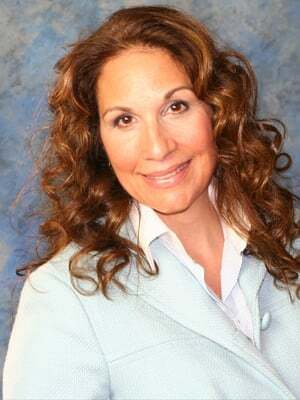 Summit Talent Group is the leading boutique search firm when it comes to the healthcare industry. If you peruse our placement history, you will see that we pride ourselves in building long term relationships with our clients. Our goal is to be your trusted advisor when it comes to finding the perfect fit for your organization’s needs and company culture. We look forward to hearing from you.